What are Weatherstop Covers made from? Suncovers are manufactured from a True Loom Woven Polyester which is solution dyed and treated with State of the Art Advanced, UV, Mould and Mildew Inhibitors. What Does Solution Dyed Yarn Mean and How Does It Make An Outdoor Fabric Better? A solution dyed yarn is a yarn where the color has been added into the polymer before it is extruded into a yarn form. Since the colour is part of the polymer, the fade resistance of a solution dyed yarn is far superior to the fade resistance of package dyed yarn and piece dyed fabric. The solution dyed polymers in WeatherSTOP have been specially chosen for their unique ability to resist fading and retain fabric strength. Why Doesn't WeatherSTOP Have a Back Coating? WeatherSTOP does not have a coating to allow the fabric to breathe, so heat and water vapor can evacuate, which is essential in preventing mildew growth. We believe WeatherSTOP to a well balanced fabric available providing a high water resistance while not sacrificing breathability. How long is the Water Repellenct (DWR)? How Long Will It Last? DWR stands for Durable Water Repellent. The exclusive HydroMax finish applied to the fabric is very durable, even after 5 laundry cycles and sun exposure, it still repels water quite effectively. The duration of the DWR's life depends onmany factors, but it can be expected to last anywhere betwen 2 to 3 years before it begins to lose its potency at which point it may be required that one spot treat WeatherSTOP with a product like 303. Our specialist cleaning and care products are available and using them will ensure maximum fabric lifespan and durability. Over time the water repellent properties will minimise and using Fabric Guard will help restore to factory condtions. Is the Fabric thick and Heavy? WeatherSTOP has a weave for applications where strength and durability are not the primary concern, with more emphasis being placed on a lightweight product that offers protection from the environment, this being of utmost importance. How are the cover joined together at the seams? Most Weatherstop covers are joined using an industrial over-locker with specialist outdoor thread for excellent lifespan and strength. Some covers are joined with Black webbing edges depending on the size, shape and cover type, this is decided at the point of manufacturing as the pattern is cut. How long does it take to put a cover on? Covers are usually reasonably quick and easy to install and should always be properly tied down and secured, tie down straps are provided with the cover. Larger covers take more time. We offer a 3 year warranty on all of our WeatherSTOP, please read our warranty details. What can I do to prolong the life of my WeatherSTOP Cover? Will water penetrate the cover? Its important to be aware that the best cover types for most applications are breathable materials. As waterproof materials can cause condensation which ultimately leads to water droplets forming inside the cover. This is a very unlikely scenario with WeatherSTOP fabric but you should be aware that it might be possible in some specific weather conditions. Water can also certainly penetrate the stitched seams, you can go over the seams with a wax treatment if you find this happens in your application environment. If water pools on your cover and is allowed to sit on the surface it may begin to seep through the material. The only way to make a cover truly waterproof is by making it from products such as poly fabrics and PVCs that can be electro welded. All of covers are stitched, not electro welded. Is the WeatherSTOP material suitable for all items being covered? 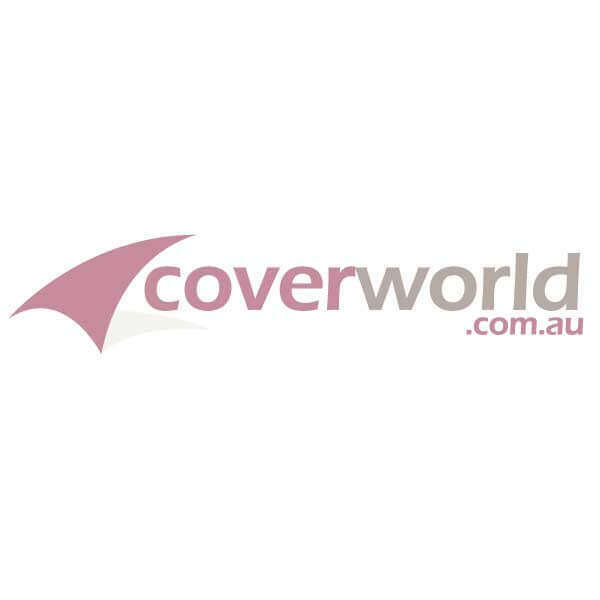 At Coverworld as a customer you need to ensure that the item you are covering is suitable for such a cover application. Not all products are suitable for covers, you should check with the manufacturer of the item you wish to cover prior to purchase. Please read our very deteailed information about wooden surfaces on our WeatherSTOP brochure attached. Please put this part number |WS-CUSTOM-CHA| in the Part Number box below. Please view our Standard Stormcover Terms before ordering.